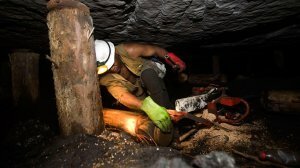 “How do we prevent repeat accidents at our mines? Mining companies spend millions on safety equipment and safety training. Despite all the training some accidents are unavoidable. It is however the occurrence of repeat accidents that remains a nightmare to safety and health officials. We would like to share a few ideas and suggestions on how to prevent repeat accidents. Suggestions to prevent repeat accidents. Make safety a top priority. Talk about safety, conduct safety audits, and encourage suggestions from employees for improving safety. Set a goal to eliminate repeat accidents. Make sure all of your employees—not just those involved in an accident—understand the causes of prior accidents and the steps they need to take to avoid a repeat. Train as if their lives depended on it—because they do! Your employees’ safety on the job depends on their skills, knowledge, awareness, and judgment. Training strengthens and develops all these safety essentials. Reinforce safe behavior. Get out there among your employees every day and praise those who are working safely. Talk to those who are taking risks and redirect them into following safe procedures. Consider retraining those whose performance indicates a lack of requisite safety skills or knowledge. Don’t use discipline without also offering help. You may need to resort to discipline when coaching and counseling fail to correct unsafe behavior. But don’t discipline without also providing support and feedback about safe performance. Emphasize hazard detection and reporting. Just because something was OK yesterday doesn’t mean it hasn’t become a hazard today. Keep alert and make sure your employees keep their eyes open, too. Investigate every incident. Whether it was a near miss or an accident that caused injuries and damage, investigate until you find the cause and correct it. Safety attitude is the key to a safe workplace. But it doesn’t happen overnight.